It’s time to get baking. By this time, you’ve no doubt been in and out of a few shops, looking for the perfect presents for those special someones on your list. But some years are hits—and others, misses—when it comes to gift giving inspiration. Have no fear—there’s one thing everyone likes to see under the tree, no matter how many times you give it: Sweets. An unbelievably moist and merrily-spiced cake that screams Christmas. We haven’t met a soul who can resist a slice of it yet. The icing on the cake? Well—the icing. Winter is long—why not arm your loved ones with their very own hot chocolate mix? Easy to prepare for you and them, there’s no better way to warm their hearts this Christmas. 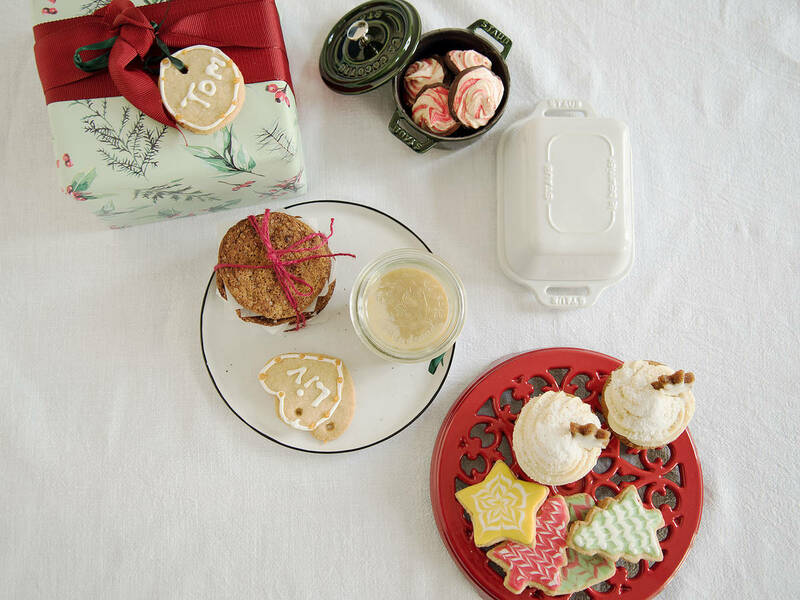 A Christmas classic, these cookies keep well, look festive, and are just plain good to eat. Package them up with a bottle of sparkling wine for extra credit. Caramelized almonds and chocolate are a match made in heaven—the type of cookie you can’t help but snack every time you walk by them. And when something is that irresistible, it’s meant to be shared. Anything that can be stored in a cute glass jar and wrapped in a bow has “Christmas Gift” written all over it. But that’s not even the best part. Spiked with bourbon, this salted caramel sauce has a festive twist to it. Pair it with a pint of fancy gelato if you’re delivering it in person. What are you gifting this year? Are you preparing anything homemade? Tell us in the comments and upload a picture for all to see!